First, their sight sets are a coupling of a solid black rear sight with a dot front. The idea behind this design is to draw the eye to the dot front without it being distracted by dots on the rear. This allows faster acquisition when engaging a target. Second, I find their .140" wide rear U-notch, combined with their .125" wide front post, to be an excellent balance of fast acquisition and precision. 10-8 sells a wider rear sight on their own website, but I've used both the .140" and .156" rear sights, and I believe the .156" is just a little too wide (for me) in those times when you need a good, precise shot. That's also an issue I've had with other "speed" sights with wide rear notches. 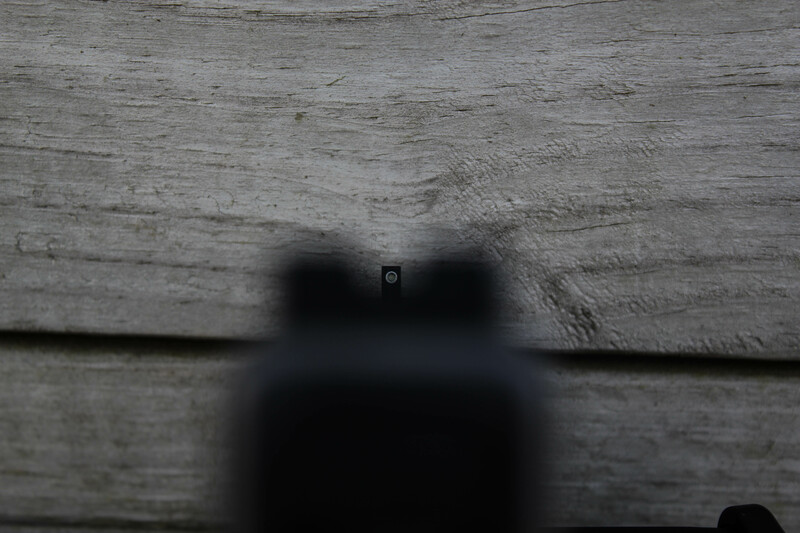 The rear sight has a nice ledge for single handed manipulation, and is serrated to reduce glare. 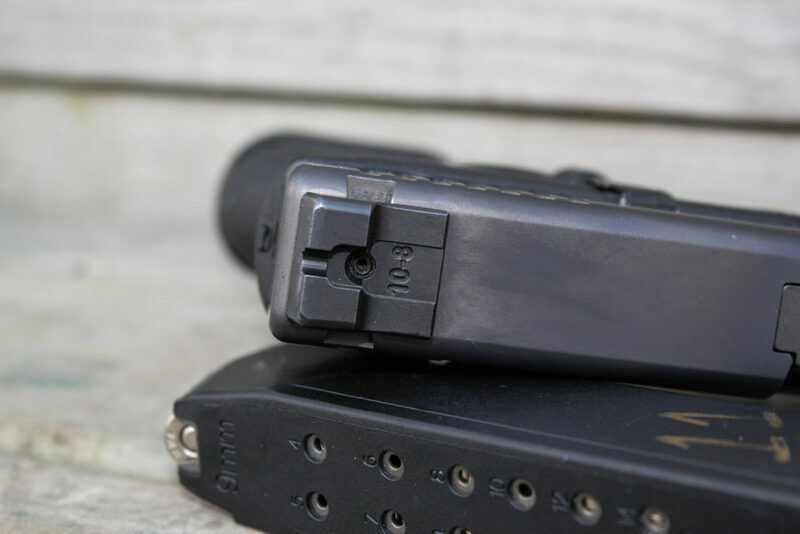 Third, they give you the option of tritium (https://www.rainierarms.com/10-8-glock-front-sight-tritium-215-height-125-width/) or fiber optics (https://www.rainierarms.com/10-8-glock-front-sight-fiber-optic-215-height-125-width/) for your front sight. 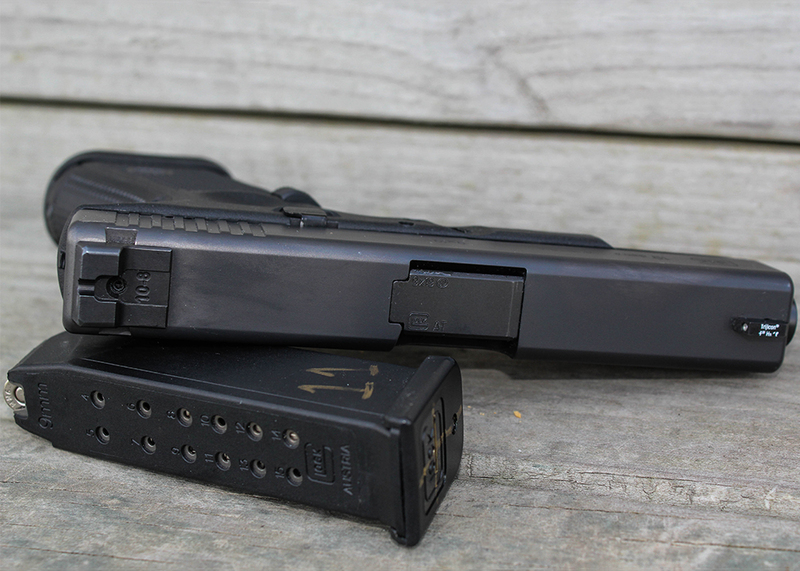 I'm still running tritium sights on my personal gun. With that said, I've been researching sights as the 10-year expiration gets near. My research indicates to me that years of use in competition (and other) shooting formats demonstrate real benefits to fiber optics over tritium. Benefits include easy field replacement, lower cost, and excellent brightness. Another consideration in the choice between tritium and fiber optics is defensive handheld light usage. A high-output defensive light can wash out a tritium dot, whereas the fiber optics will simply use that light. When my current tritium sights go dim, or if I can justify a new sight before then, I'll most likely switch to fiber optics. 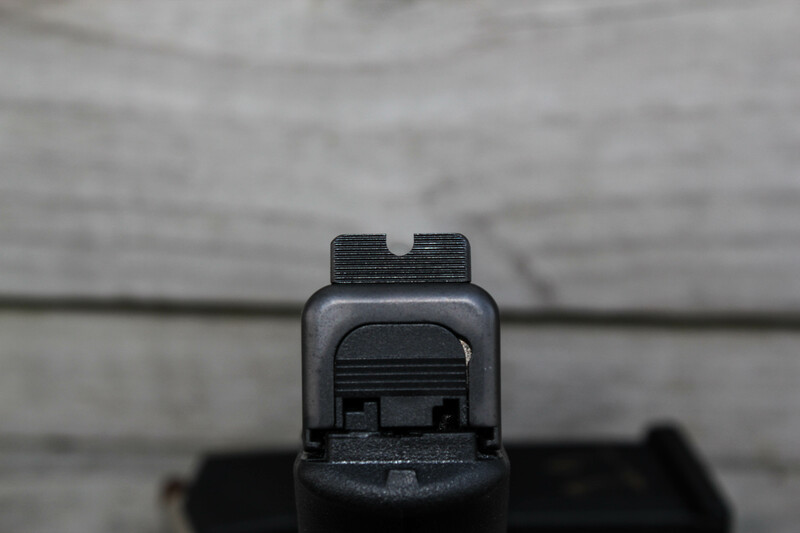 If you're in the market for some replacement sights for your Glock or M&P, take a minute and look over 10-8's options. Whether you are looking for a defensive or a competitive sight, they most likely have something that will meet your needs. I hope this has been helpful. If so, feel free to share. As always, Rainier Arms stands ready to help you Pursue Your Passion.